This blog post will explain how waterless urinals work. For information on why waterless urinals are better for the environment than flushing urinals, click here. 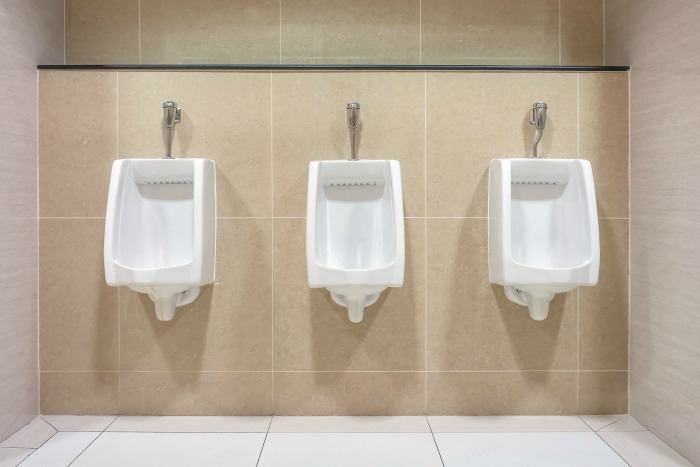 There are a variety of types of waterless urinals on the market; including purpose built waterless urinals, or conversion systems – where the urinal was originally flushing, then converted to become waterless. The Envirocare Systems Greenheart waterless urinal conversion kit enables the site to gain th e benefits of saving water without the expenditure of replacing their existing urinals. Greenheart Pucks (or blocks) are simply placed in the base of the existing urinal and the water supply is turned off. A small amount of water is poured into the urinal each day to activate the microbes within the pucks, which purges the trap of urine. The microbes trigger a natural breakdown of organic matter inside the drain, to prevent unpleasant odours. A disposable cartridge with separate chambers containing special lightweight oil creates a physical barrier between the user and the plumbing. Oil floats on liquids, including urine, so the oil layer prevents any odours from entering the room through the trap. Oil Seal traps are a variation of the standard plumbing ‘S’ trap. 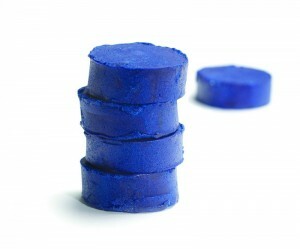 The cartridges need to be topped up with new oil at least once a week to maintain the oil-seal. The cartridges will become fouled by urinary sediment, so they must be replaced periodically. The urinal has an in-built oil-well that functions like the cartridge system listed above. The difference being that there is not a disposable cartridge. The oil-well must be cleaned regularly. One-way valves enable urine to pass into the plumbing system, but stop odours going back into the washroom. Exchangeable siphon collects the urine and discharges it into the drain system. After the urine has been discharged, a secondary gravity float-seal pushes up into a flexible rubber seal blocking the escape of odour back into the restroom. Although there is no superior waterless urinal system, each system drastically reduces water usage in any organization. At Envirocare Systems, we are the experts in the service and maintenance o f waterless urinals. We even produce our own in-house ‘Greenheart’ waterless urinal conversion kit. If you are unsure of what type of waterless urinal you have, having problems with your waterless urinal such as a stinky, or blocked urinal, or are even interested in going waterless, contact us now for an obligation free site survey and quote. Click here to have a look at the various types of waterless urinals!